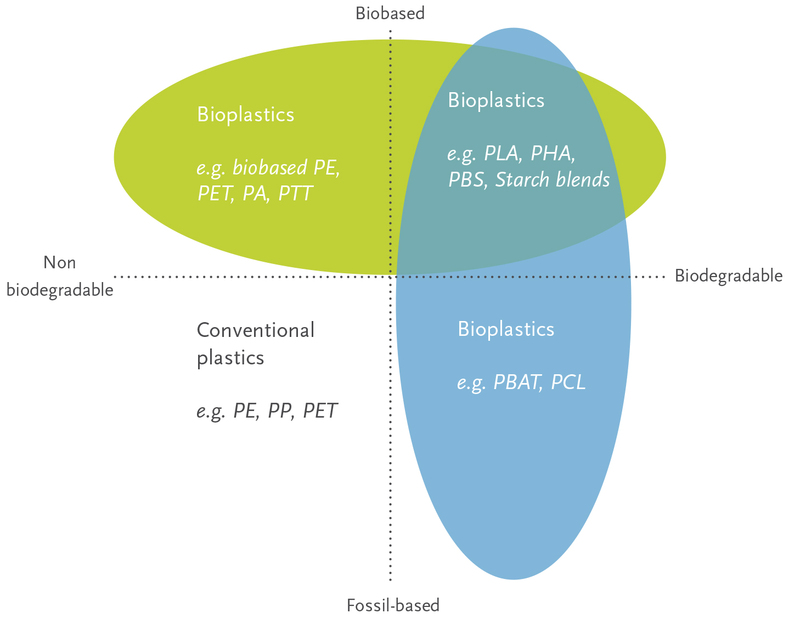 Materials – European Bioplastics e.V. Plastics that are based on fossil resources and are biodegradable, such as PBAT. Currently, bioplastics represent about one per cent of the about 335 million tonnes of plastic produced annually. But as demand is rising and with more sophisticated materials, applications, and products emerging, the market is already growing very dynamically. 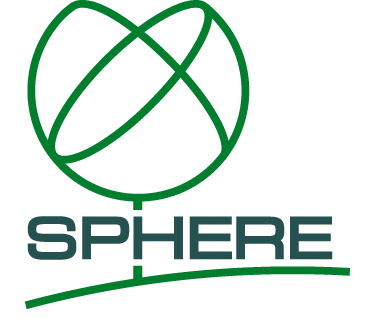 Biobased or partially biobased durable plastics, such as biobased or partially biobased PE, PET or PVC, possess properties, which are identical to their conventional versions. These bioplastics are technically equivalent to their fossil counterparts; yet, they help to reduce a product’s carbon footprint. Moreover, they can be mechanically recycled in existing recycling streams. Find out more about biobased plastics here. Additionally, new materials such as PLA, PHA, cellulose or starch-based materials offer solutions with completely new functionalities such as biodegradability and compostability and in some cases optimised barrier properties. Find out more about biodegradable plastics here. Along with the growth in variety of bioplastic materials, properties such as flexibility, durability, printability, transparency, barrier, heat resistancy, gloss and many more have been significantly enhanced. Accurate claims and labels ensure clarity and trust: Environmental claims of bioplastics materials and products, such as biodegradability and the amount of biomass content, must always be specific, accurate, and ideally provide a third party substantiation for these claims. A label awarded in accordance with independent certification based on acknowledged standards guarantees that the product fulfills the criteria claimed. As non-experts cannot distinguish bioplastics from conventional plastics, reliable certification and labeling based on approved standards provided by CEN, ASTM, or ISO help the consumer to identify these products and inform about additional qualities the material or product possesses. 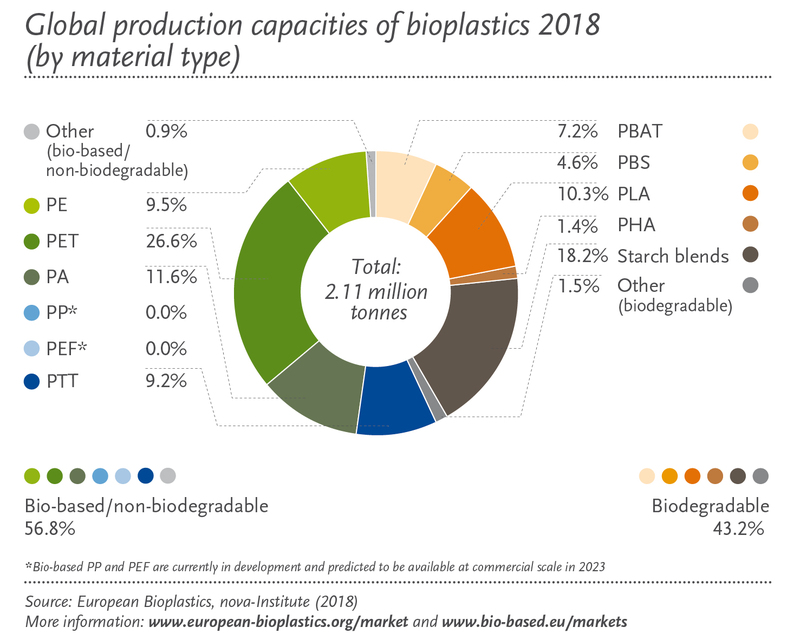 For more information on relevant standards, certificates, and labels, European Bioplastics has compiled a comprehensive Environmental Communications Guide providing general recommendations as well as specific guidelines for communicating environmental claims for bioplastics. Once you subscribed, you will receive an email to confirm your email address.